A guide to flexible workspace and office space to rent in Austin as well as general information that may be useful if you are thinking of renting offices in the city. For further Austin office space information or to search office space to rent in Austin TX just click. Or contact us for any other office space search inquiry. The capital of the state of Texas is located in the central part of the state on the edge of the Southwest region of the country. It lies of the Balcones Escarpment on the Colorado River, approximately 80 miles northeast of San Antonio. The area around Austin was originally inhabited by both the Tonkawa and Comanche tribes. In the mid-18th century several Spanish missions were built in the area and later in the early 19th century, several forts were built. However, none of these communities expanded significantly, mostly as a result of intermittent warfare with the Native American tribes in the area, most specifically the Comanches. In 1836 Texas fought a war with Mexico and eventually won its independence. In 1839 it was decided that a new capital for Texas would be built and named Austin, after Stephen F. Austin, a local entrepreneur. The area was chosen for its proximity to the Colorado River and its location on trade routes between Santa Fe and Galveston Bay. The new town was laid out in a 14-block grid, which now forms the core of downtown Austin. After a series of bloody confrontations in the 1840s, the Texas Rangers pushed the Comanches out of the area. This resulted in the town’s population expanding rapidly and a host of new businesses and entrepreneurs gravitating to the town. In 1845, Texas became a state and Austin was confirmed as the capital. The city survived the American Civil War unscathed, and in 1871 the arrival of the Houston and Texas Central Railway ensured that the city became a thriving trading hub. By the end of the century, Austin had expanded its city limits to more than triple its original area. The Texas Oil Boom at the beginning of the 20th century ensured the city continued to prosper and funded major public works and beautification projects. By the mid 20th century the city was one of Texas’ largest and later it became an important high-tech center. Today Austin is one of the most economically and culturally vibrant cities in the US. Austin has a thriving economy with a gross domestic product of approximately USD 80 billion. It is particularly well known for its high-tech industry, which is one of the largest in the country. The city also has a successful defense industry. Both industries are fed by a steady supply of talent from the University of Texas at Austin which is known for its technology and computer programmes. The city is seen by many as a more attractive location to set up a tech company than Silicon Valley because of its lower rents, though these are generally much higher than in many other parts of the state. Among the high-tech companies with a presence in Austin are IBM, Samsung Group, Buffalo Technology, Oracle, Bioware, Cisco Systems, AMD and 3M. Other prominent industries in Austin include pharmaceutical and biotechnology, both of which have been growing in the city in recent years. The supermarket chain Whole Foods also has its headquarters in the city. Austin is known in Texas for its diverse culture and busy nightlife. ‘Keep Austin Weird’ is a popular saying in the city and can be seen on many bumper stickers. The area of SoCo, which stands for South Congress Avenue for Downtown, is a hive of stores, restaurants and bars and is in many ways the cultural hub of the city. There are several annual events in Austin which bring in visitors and tourists, the most popular of which are the Austin Reggae Festival, Pecan Street Festival and Eeyore’s Birthday, a counterculture celebration of the depressed donkey in A.A Milne’s Winnie the Pooh series. The Austin City Limits Music Festival is another event which brings thousands from across the state and country and lasts three days. Austin is known for its music scene in general and has a myriad of live music venues and clubs. The city also has a host of museums, the largest of which is the Texas Memorial Museum and the Blanton Museum of Art. 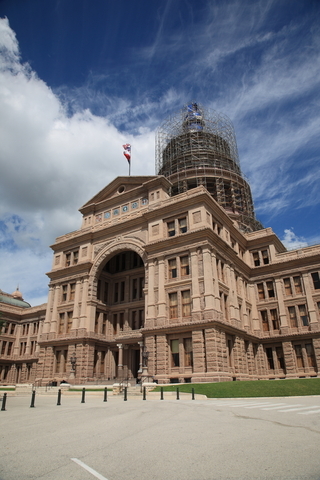 Many tourists visiting Austin also stop at the Texas State Capital which dates from 1888. South by Southwest (SXSW) is an annual expo held in March and began in 1987. It celebrates film and interactive media, and hosts music festivals with more than 2,000 acts, and conferences. In 1987 it was attended by 700 registrants and in 2018, more than 28,000. Many well-known companies owe a large part of their success to SXSW – Foursquare was launched there in 2009 and Twitter gained early traction and users at the 2007 event. In 2018, the event ran from March 9th to 18th and guest speakers included Bernie Sanders, Elon Musk and Steven Spielberg. Austin is served by the Austin-Bergstrom International Airport which is about five miles from the city. Austin itself has a fairly comprehensive public transportation network which rivals most cities in the country. As well as a large bus system the city has a 32-mile commuter rail system which serves downtown Austin as well as the northern and eastern areas of the city. Austin is also the most bike-friendly city in the state and has garnered a Silver-level rating from the League of American Bicyclists. The car-sharing program Car2Go also has an operation in Austin and has so far proved popular with the city’s residents. The startup market is thriving in Austin and so a lot of flexible office and workspace providers are operational in the city – co-working space provider WeWork has 4 centres alone. So the choice of serviced offices, managed office space and co-working spaces is vast. 2017 wasn’t a year just for startups, SMBs and growing companies, though, there were some major leases taken by Fortune 500 companies including Facebook, Google and Indeed. That trend has continued into this year also with Parsley Energy’s pre-let of 300,000 square feet of office space in a development planned for 300 Colorado St. in downtown Austin. Prime, Class A office space in Austin increased to $39 per square foot in 2017 which was up from $37 in the previous year. Recently financial news website The Street named Austin as among the ten cities in America ‘poised for greatness’ and the continued activity in the office space market is confirming that. For further information relating to Singapore flexible workspace, please Contact us. Austin has a vast selection of business travel accommodation options and we have partnered with Booking.com to bring you all of these in one place. Our Street Address Guide and index for this location can be viewed on the link below.